As Valentine’s Day comes near, there is no doubt that love is certainly in the air. However, with the month in full bloom, one can say that love isn’t the only thing that’s in the air. Even cannabis has been making waves – and making its scent known – in the industry. With the day of love approaching every minute, making sure you have a gift in hand to give your significant other has become more than just a necessity. Even having a gift for yourself has become more relevant than ever. The month of love is the perfect opportunity to showcase your love for your special someone. The holidays have always been an excuse for people to get their loved ones a special gift or token. Whether it’s a sign of appreciation or a show of love, these tokens have valuable meaning both to the receiver and to the recipient. In this regard, Valentine’s Day is no different. 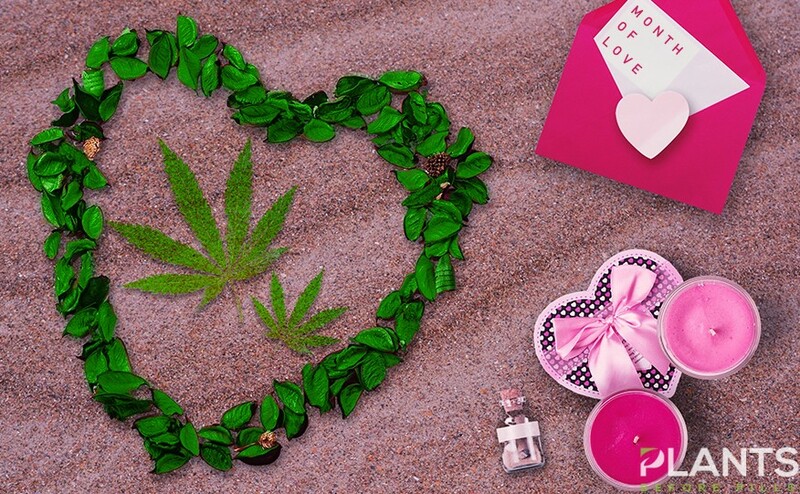 As a matter of fact, Javier Hasse from Forbes reports that cannabis sales tend to increase around the holidays, with the Valentine’s Day weekend of 2018 being of no exception. Sales from Flowhub even rose to a whopping 22 percent from their initial revenue in 2017. With the legalization of cannabis in selected parts of the nation, new products and innovative items are slated to enter the market. More than the regular box of cannabis oil-infused chocolates, there are now tons of CBD products everywhere you look. Cannabidiol, also known as CBD, is a type of cannabinoid which is typically developed from marijuana or hemp plants. Compared to THC, which contains psychoactive properties, CBD does not get its users high. Instead, it brings users a ton of benefits, including pain relief, anxiety and stress reduction, and many more. While CBD is usually found in oil form, there are also various ways this can be ingested. Gone are the days when gifting items are limited to the extravagant bouquet of flowers or to the perennial box of chocolates. Why not think outside the box? For one, what better way to treat your partner than with a luxurious spa weekend or a lovely dinner at a reservations-only restaurant? End your date with a puff or two of your favorite kush and you are on your way to euphoria. However, if you are not fond of lighting up the traditional joint or eating your weight in carbs or whatever snacks you have on hand, going on another route might work in your favor. With more and more individuals discovering the joys of pampering and self-love, looking into hemp oil derivatives such as beauty products, edibles, and other exciting goodies are in order. If you have been wondering what to give your special someone, why not go outside the box? A cannabis-infused item will certainly be a good surprise, especially if your significant other is fond of receiving kush-inspired products. Below are some items you can buy depending on the personality of your recipient. Fans of the pure, unadulterated substance will certainly appreciate the gift of a plain and simple joint. This is perfect for smoking up during the weekend and chilling out. Maybe put on a few Netflix shows, heat up some popcorn, and you’re all set to go. The skincare industry is not one to shy away from beauty trends, especially in the name of smooth skin. If your loved one has been ranting about her seemingly big pores or has been getting tons of small bumps on her face, getting her some face products might do the trick. Your girl will surely love sloughing off all the dead skin off her face with this CBD oil-infused exfoliating facial wash. With this in her arsenal, she can finally say goodbye to acne and inflammation with just a few uses. For extra moisture during the harsh winter weather, this cannabis oil concentrate will surely be a welcome addition to any routine. Touted as a miracle worker, this oil claims to soothe visible redness, calm the skin, and improve the overall skin condition. A few drops every day or night is enough to give your loved one the glow they need. To take moisturizing to the next level, make sure to share this special find with your significant other. Made from a high level of cannabis sativa seed oil derived from hemp, this will provide extra hydration and extra glow, perfect for dates night during this love month. There’s no doubt that makeup is high on a woman’s list of want. If you want your date to look smashing for the evening, giving her some cannabidiol oil-infused products are the way to go. With calming and soothing properties, your date will surely be calm even after arriving late. A strong brow game is essential for any person, particularly when it can frame the whole face. To help your special girl feel all dolled up, give them this brow gel. A few swipes of this is guaranteed to give them a natural, brushed up look that’s been making noise all over the internet. For mesmerizing eyes, make sure to put a piece of this well-loved mascara from Milk Makeup in your goodie bag. Made with cannabis oil, this ensures nourished lashes that will get everyone’s attention, especially your own. Since there’s some sort of kissing (and hopefully some making out) expected at the end of the night, keeping soft and moisturized puckers are in order. With the help of this organic and nourishing lip balm, you won’t be able to resist stealing some kisses from your partner. Health and wellness are big trends today – and for good reason. Not only does it promote strength and vitality, but it also has the capacity to change one’s outlook in life. If you want to have a mind-altering weekend getaway with your health-conscious slash fitness buff partner, book a wellness session designed to get you in touch with nature and with one another. Taking a retreat away from the bustling city life might just be what your relationship needs. In a Cannabliss Retreat, you can join fellow-minded individuals who are looking to know more about the history, culture, tradition, and food about a specific location. On this retreat, you can expect to be immersed in a variety of sensations, exercises, and of course, cannabis ceremonies. Think of this as a mini-vacation getaway unlike anywhere you’ve been to. If the stress of the city has been taking a toll on you and your partner, opting for a relaxing CBD massage that uses cannabidiol oil might just do the trick. With a trained massage therapist at the helm, all the pain and tension you’ve been harbouring will be gone in no time. At the center of every couple’s relationship is food. In fact, one might even say that one of the best bonding activities anyone could ever ask for is eating out and trying a variety of meals. If you are up for a night of fun, adventure, and surprises, you might want to peek at this gastronomic feast featuring cannabis-infused dishes. If you want to impress someone on your first date or simply want to elevate your dining experience after many years of being together, booking your dinner at The Herbal Chef is one of the best things you can do. They take pride in serving cannabis-infused dishes designed to take your date on a whole other level. For those who love a good tea party, serving up a classy and glamorous high tea date will certainly be appreciated. Kikoko provides a wide range of cannabis-infused herbal teas for all occasions – whether its to enhance the mood, relieve pain, or even improve your intimacy in the bedroom! Make sure to follow their detailed guide and you’ll have a fun time with your date. Before you write this seemingly traditional and boring idea off, know that finishing your day with chocolates will give you the sweet ending you need. Some of the more adventurous and perhaps noteworthy flavors on the market today include Binske’s Raspberry and Pure Fortunato options, Coda Signature’s Serenade Collection of Truffles with 10 mg of THC, and To Whom It May’s Cherry Cayenne and Hazelnut Brandy. Made with varying levels of CBD oil with THC, you can end your day with a high by taking on these sweet treats. During this holiday season, try some of these groundbreaking experiences with the help of cannabis. These might just bring you and your partner closer than ever before.